I've been freaking out about these for 2 days now. Click here to see a whole bunch of these. She's even been on Martha. (Scroll all the way to the bottom to see pics from the show) This lady is a genius and I'm finding it hard to contain myself when looking at things this cute. I can't get enough of them. Hmmm....Vaughnie's birthday is coming up!?! I wonder if they taste good though? Only one way to find out! oh my dear Lord - i need at least 8 right now!! 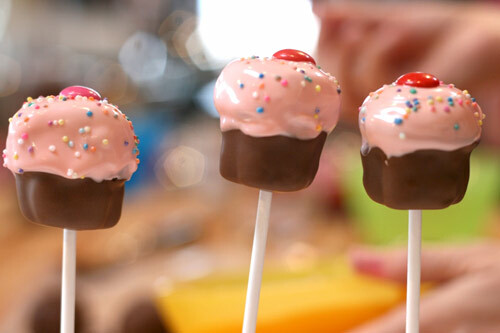 Charisa you can sooo make these. They are cute. They look so yummy. I would be scared to find out how many I could eat! I think they would be great for Vaughnie's birthday.